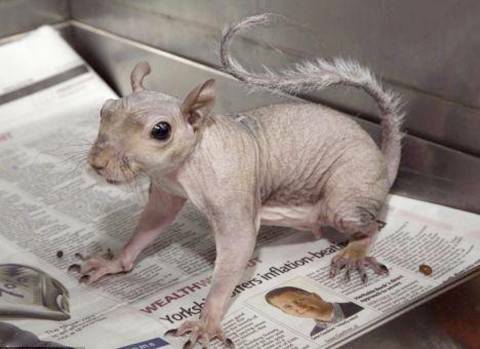 The fur loss is caused by a fungus or mange mites that spread easily from squirrel to squirrel in their winter dens. On frigid days, unrelated squirrels seek out the coziest dens and squish together. Most squirrels aren’t harmed by the fungal infection, the mites or the fur loss. They’ll regrow fur in the coming weeks. More pix after the jump. The animal first experiences hair loss over the chest and shoulders. 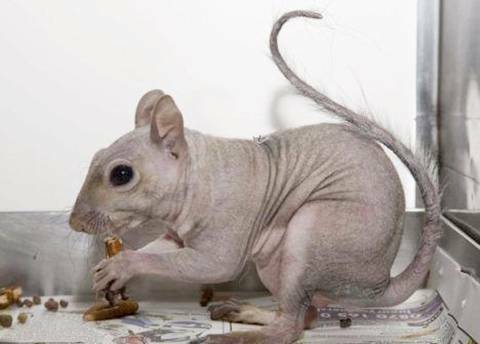 The mange then eventually spreads over the entire body, causing the animal to become nearly bald. It doesn’t mean that the squirrels are sick but that they have mites living on their skin. There’s not much that can be done for the squirrels.